Zelaya Jr Painting has been refinishing cabinets since 2000. Make your kitchen and/or bathroom look new again with newly painted or freshly stained cabinets, for a fraction of the cost of new cabinets or refacing your cabinets. Zelaya Jr Painting offers affordable cabinet painting and refinishing so that you can update your kitchen or bath at a reasonable price. Get that new kitchen that you have been wanting! The expert cabinet painters from Zelaya Jr Painting will strip and sand your cabinets, repair any dents or cracks, sand the surface smooth and free of dirt and any prior finish, and then apply a durable long lasting paint or stain. The result will be expertly finished cabinets that fit your budget. Zelaya Jr Painting can give those worn cabinets new beauty! Refinishing cabinetry is one of our favorites specialties! Style is important these days! Kitchen cabinet refinishing requires skill and attention to detail that Zelaya Jr Painting is known for. We'll refinish cabinets to match the style of your existing kitchen or create that brand new look you’ve always wanted. Is your kitchen somewhat dated? Refinishing kitchen cabinets is the #1 way to update your kitchen. Recapture that "new" feeling at a price you can afford. It’s a perfect time for you to rejuvenate the center of your home with Zelaya Jr Painting. Zelaya Jr Painting cabinet refinisher can add some pizzazz to a dull bathroom. Due to the variety of stains, glazes, paints and finishes, cabinet resurfacing is easy when you trust Zelaya Jr Painting to do the job. The professional crew at Zelaya Jr Painting are outstanding at cabinet repainting and staining cabinets for bathrooms. Let the experienced cabinet refinisher at Zelaya Jr Painting use their expert talents and eyes for detail on your bathroom cabinets and restore their former beauty. Your bathroom vanity will look great with a quality finish. Call Zelaya Jr Painting for painting cabinets in any room in your home or office. We'll tackle any painting project! With years of painting experience, our painters are unsurpassed in beautifying refinished cabinets to the pleasure of many home owners. 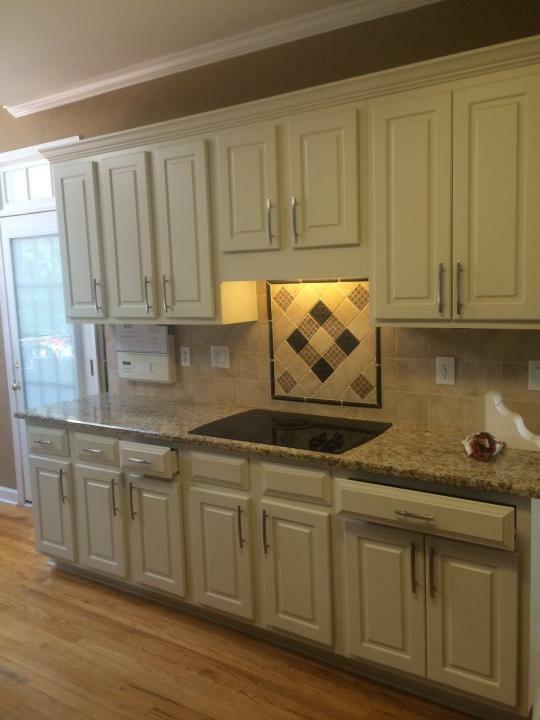 Let us refinish your cabinets and extend the life of your investment.